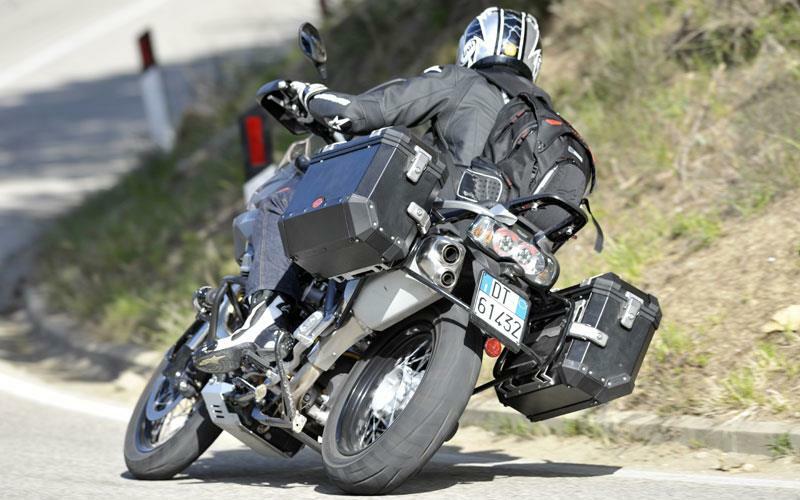 ﻿ Moto Guzzi Stelvio 1200 8V - "a cracking do-anything, go-anywhere machine"
Moto Guzzi has never made a secret of aiming the Stelvio squarely at the mighty BMW R1200GS and thanks to a raft of changes, the Italian and German machines are closer than ever, to the point where there's only a pound price difference between the two (in the Guzzi's favour). 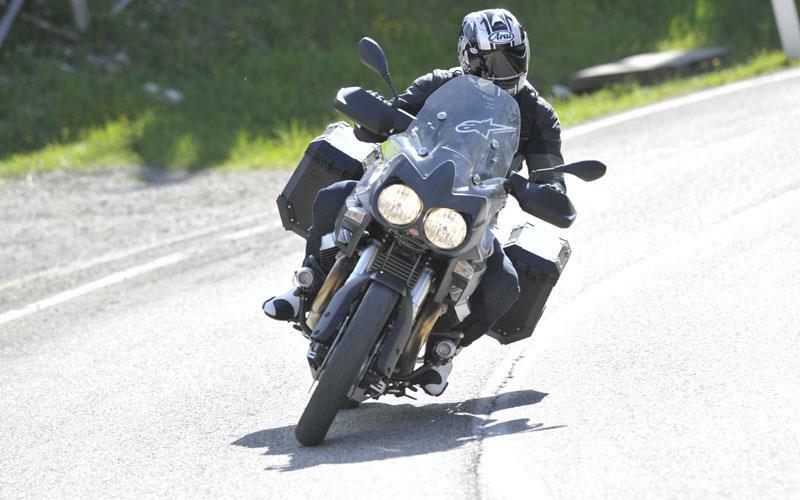 But the Stelvio 1200 8V has ABS, heated grips and sat nav as standard, making it superb value, and an ace up its sleeve, in the shape of a 32-litre fuel tank. 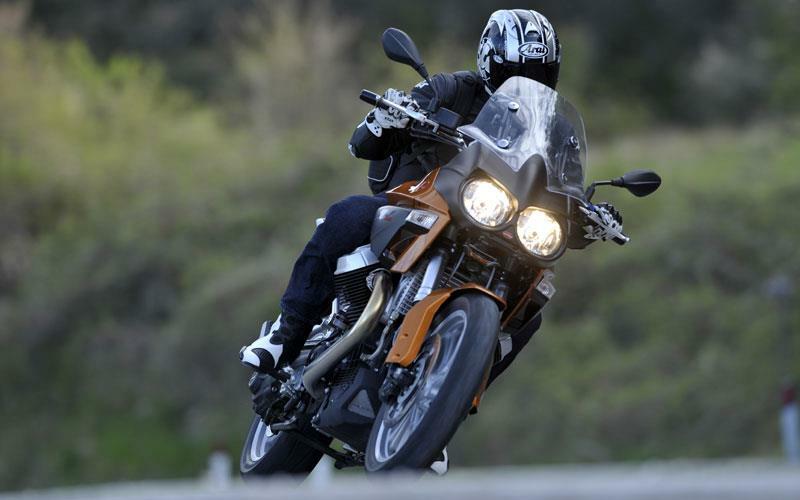 Compared to its other adventure bike rivals, the Stelvio is also cheaper than the Ducati Multistrada, which costs between £11,295 and £14,795 depending on spec and the £12,999 Yamaha SuperTenere, but you can pick up a KTM 990 Adventure for less (£9545). The nips and tucks have made the Stelvio a brilliant all-rounder. For cruising and scenery-spotting, the throaty engine has lots of grunt and it's supremely comfortable. 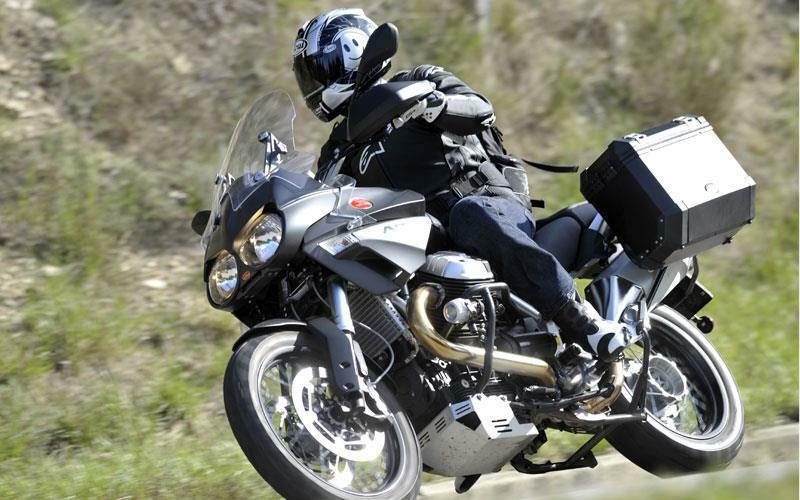 Read more about the Moto Guzzi Stelvio in this weeks MCN - out now.